Today in 1968: The Jeanette Rankin Brigade marches on Washington to protest the war in Vietnam. It is led by 87-year-old Rankin herself, the first U.S. Congresswoman, and the only member of Congress to vote against U.S. entry to both world wars. Tonight is a Sun Prairie Project kickoff party for the Dane County Timebank. Learn more about the Neighborhood Care Teams that are forming in Sun Prairie and the surrounding areas. Connect with new TimeBank members who are looking to be matched with mentors and seeking meaningful ways to contribute. Drinks and snacks will be provided. This is today from 5 to 7pm at 1632 West Main Street in Sun Prairie. 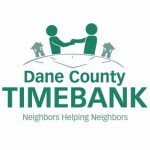 More info at danecountytimebank.org. 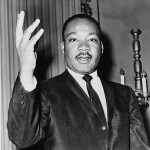 Tonight, IWW Social Action and Solidarity sponsor a free Martin Luther King, Jr. Birthday screening of “At the River I Stand,” about the 1968 Memphis Sanitation Workers Strike and King’s assassination. This is tonight at 7pm at 122 State Street, Room 200. For more info, call 442-8399 or 815-685-8567. This Saturday, the Return Peace Corps Volunteers of Wisconsin-Madison work with the Colombia Support Network to host the 33rd annual Freeze for Food Run-Walk at Vilas Park. Help raise funds for food for the school lunch and elderly programs at the Peace Community of San Jose de Apartado, Colombia, the sister community of Dane County, Wisconsin. There is a cost for this event. 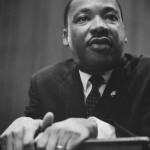 For more info or to register, visit rpcvmadison.org.